LensCrafters is the place to go if you need to get prescription eyewear, including glasses, sunglasses, and contact lenses. 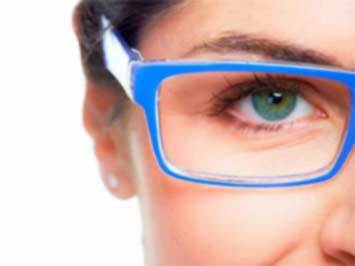 LensCrafters is the place to go if you need to buy some glassses or contact lenses. This store sells just about any kind of eyewear you could possibly want. If you're looking for a classic pair of Ray-Bans, you can pick those up there. You can also get classy Coach glassses, streamlined Sferoflex specs, preppy Ralph by Ralph Lauren frames, and lots more. LensCrafters also offers eye exams in case your vision needs a little check up. If you're looking to save some money next time you shop at LensCrafters, make sure to stop by their official website, lenscrafters.com. There are often deals that are highlighted right on their homepage, like an offer for 40% off your lenses if you buy the frames, or free shipping when you order contact lenses. You can also sign up for a myAccount and get special e-mails and offers, plus a special in-store discount. Don't forget to add them to your favorite stores on Tiendeo, either! That way, you'll always know when there are new LensCrafters coupons available. LensCrafters was founded by E. Dean Butler. He'd been a manager at Proctor & Gamble, but founded the eyewear store in 1983. He ended up selling the company to the United States Shoe Corporation, but he stayed the president until 1987. That's when Ban Hudson stepped in. Three years later, in 1990, Hudson moved to become US Shoe's CEO, and the new CEO of LensCrafters was Dave Browne. You use your eyes every single day, but you probably didn't know about all the amazing stuff that happens in them. Did you know, for instance, that there are 2 million working parts in your eyes? That's pretty incredible! That's why LensCrafters shared some fascinating stuff you may not have known about your eyeballs. Let's take blinking. An average person blinks 12 times every minute, with each blink lasting about 1/10th of a second. That adds up to 10,000 blinks every day - a total of 4,200,000 blinks every year! Did you know that babies don't cry like adults do? Until they're between 4 to 13 weeks old, they don't cry real tears. (Though naturally that doesn't mean they don't cry - we feel you, new parents!). If you use vision aid, you're not alone. About 60% of the U.S. population uses vision correction! The good news is that 80% of the vision impairment in the world is treatable. Do you want to receive more deals from LensCrafters by email?